All submissions to your journal will be handled using one of our online submission systems: Editorial Manager (EM), Elsevier Editorial System (EES) or EVISE. Using an online submission system means that you can access and process submitted papers from anywhere with internet access. The files, correspondence and interactions are all saved so you don’t need to maintain separate records. Automated workflows mean less manual work for you as editor however the systems can also be customized according to your journal’s needs. Different access levels are available for different editorial roles and there are various help and training resources at your disposal to support you with these systems. For any questions or feedback about your submission system please contact your publisher. 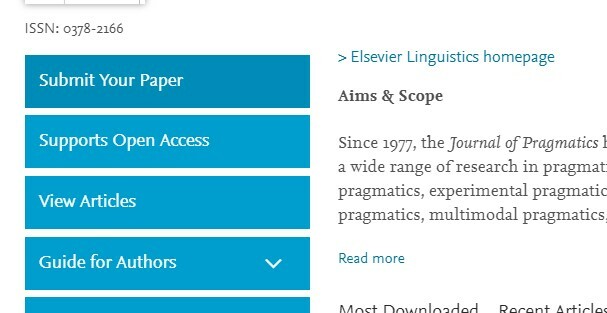 Your journal’s submission system can be accessed via the “submit your paper” link on the left of the Elsevier.com journal’s homepage.